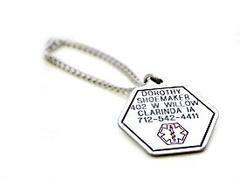 Stainless steel hexagon shaped medical id alert necklace c is great fro those who prefer a medical alert necklace rather than a medical alert id bracelet. 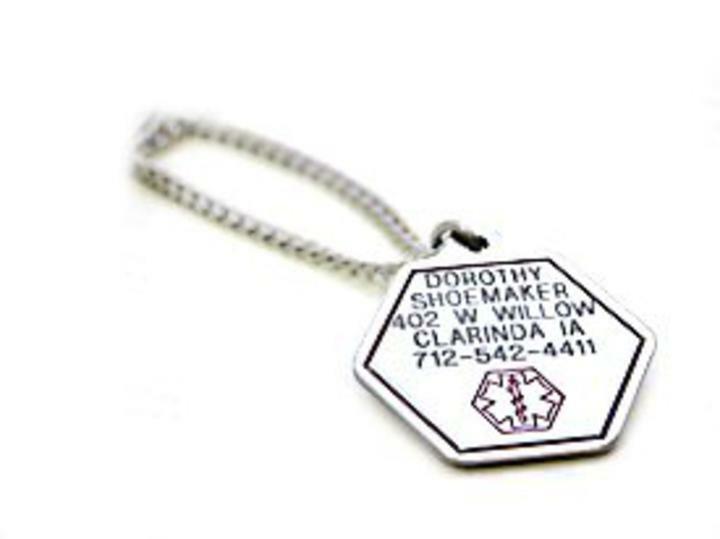 Our stainless steel medical ID c style necklace measures about 1-1/4" from tip to top, about the size of a fifty cent piece and comes with a 27 inch stainless steel link chain. Free engraving! 4 lines on front and 6 on the back!